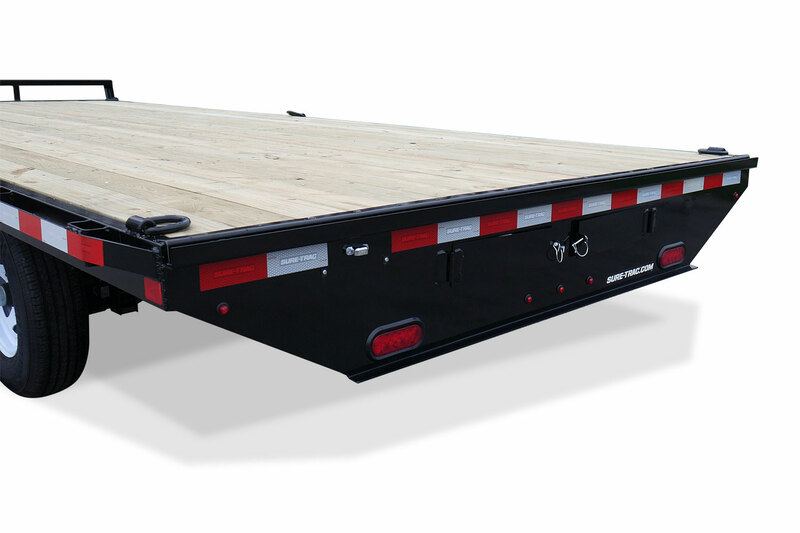 Featuring a 10″ I-Beam frame and over 11,000 lbs. 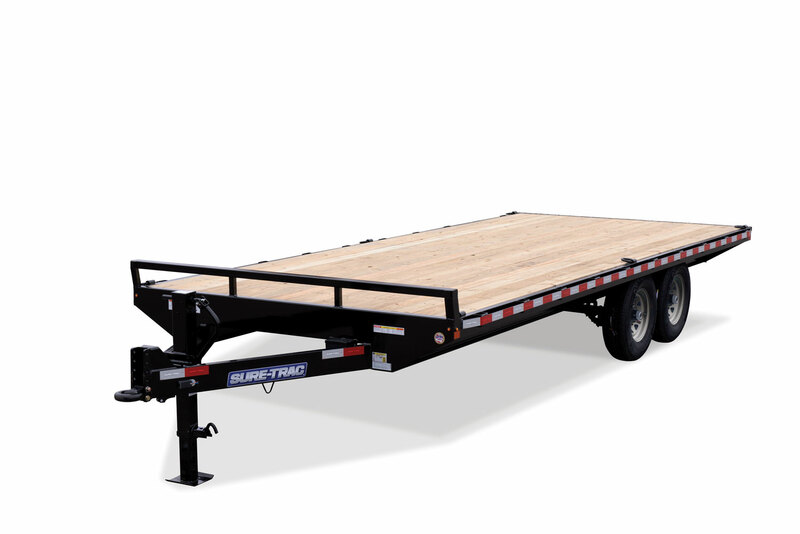 of carrying capacity, the Standard Duty Flatbed Deckover is the perfect choice for hauling your materials to the job. 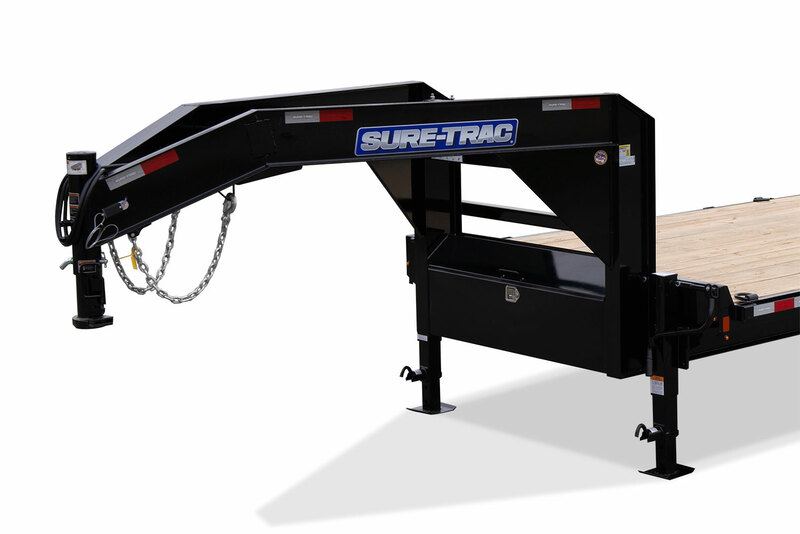 Many convenient standard features are built-in. 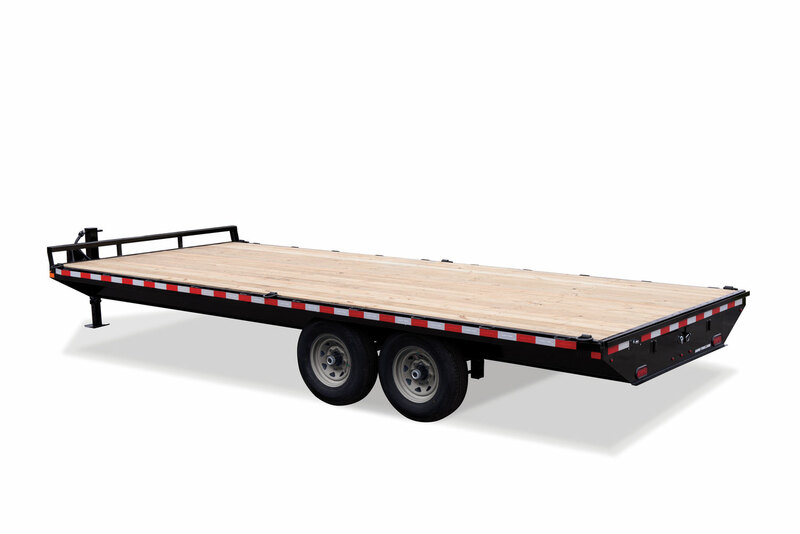 Available in bumper pull or gooseneck (includes dual jacks and toolbox). 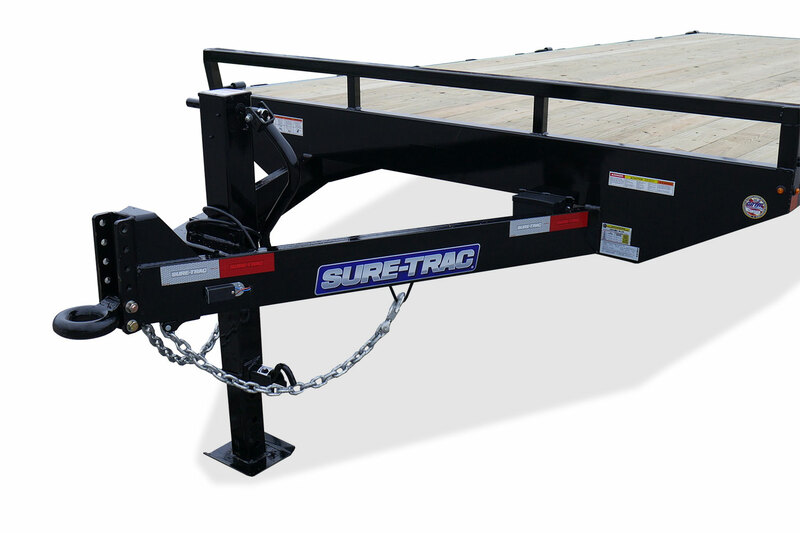 8.5 x 18 Bumper Pull - 275"
8.5 x 20 Bumper Pull - 299"
8.5 x 22 Bumper Pull - 323"
8.5 x 18 Bumper Pull - Adjustable 21"-29"
8.5 x 20 Bumper Pull - Adjustable 21"-29"
8.5 x 22 Bumper Pull - Adjustable 21"-29"